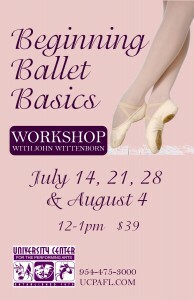 4 Weeks Workshop on Saturdays @ 12PM with John Wittenborn. ONLY $39. Call for details. 954-475-3000.